The net is buzzing with rumours that Google is working on a web browser. Online journals, or weblogs, have put together a series of developments which suggest that the search engine is developing new web tools. A US newspaper has also reported that Google has poached former Microsoft workers who created early versions of the Internet Explorer browser. Google declined to comment on the online reports and said it had announced no plans in this area. Speculation about the Google browser has intensified following a news story in the New York Post. The story said that four people who worked on Microsoft's web browser have recently been recruited to work at Google. One of the new recruits to Google, Adam Bosworth, is thought to have had a pivotal role in the development of Internet Explorer. Also now working for Google is Joe Beda who was on the team working on Avalon, the interface system for Longhorn which will be the next version of Microsoft's operating system. Industry watchers say the fact that the 2004 Mozilla Developer Day was held on the Google campus is also significant. The Mozilla project came out of work at AOL on what was the Netscape web browser. Mozilla has produced its own browser, called Firefox, that is enjoying a surge in popularity as increasing numbers of people and organisations tire of the security problems that plague Microsoft's Internet Explorer. High-profile technology columnists and US government security organisations have all recently recommended that people stop using IE while Microsoft produces patches for the biggest security bugs in it. Microsoft has also yet to decide whether to continue producing new versions of its browser. This surge of interest in Firefox led to the latest version of it being downloaded more than a million times in 100 hours. Google-watcher and web-designer Jason Kottke said Google's interest in Mozilla was significant for another reason. He said the work that Google is doing on Gmail and Blogger show it is definitely interested in building software that more like familiar desktop programs rather than web applications. "Mozilla is a platform that definitely lends itself to doing that," he told BBC News Online. The experience Google is building by running Gmail and Blogger would also help any effort to build a browser, he said. 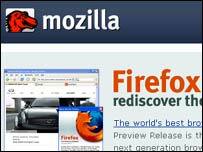 As a result Mozilla's work could be used as the basis for Google's own browser. But perhaps the most persuasive evidence comes from the fact that in April Google registered the gbrowser.com domain. Industry watchers speculate that the Gbrowser could refer to web browsing software or be a program that searches for music or images. It could even be the public name for the personal search system, codenamed Puffin, that Google is known to be working on. 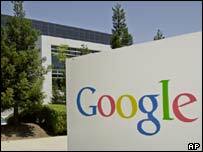 A Google spokeswoman said that the company had a policy of not commenting on rumour and speculation. If Google does push ahead with the Gbrowser project it could cause problems for Andreas Schwarz who has created an image browsing program for Apple computers that has the same name. "I've been planning on rewriting my program from the ground up for version 2.0 and have been trying to figure out a more creative name for it," he said, "so hopefully it won't be 'gbrowser' for too much longer anyway. "It would probably work to my advantage," he said. "[People] looking to find Google's gbrowser may also stumble on to my program."